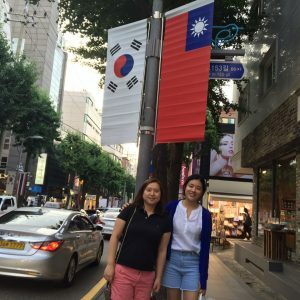 Growing up in Taiwan, Mandarin was my first language. My first encounters with Korean were watching Korean dramas with my grandmother as a child. Learning Korean was naturally fun to me as a beginner; the pronunciation of Hanja is similar to Chinese and the spelling is alphabetic like English. 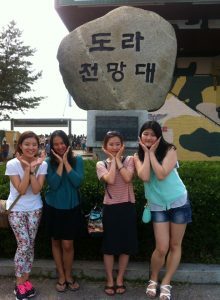 The social aspect of Korea attracted my attention during my junior year when I spent a month at the University of Seoul. I appreciated learning about similarities between Korea and my country. I was touched to see how proudly Korea appreciates its tradition. After coming to Monterey, I developed interests in international relations and decided to focus my study on proliferation of nuclear weapons in the Korean peninsula. The N on-Regular Language Korean courses I’ve taken at the Institute for the last three semesters have been extremely rewarding. The workload of the classes is tremendous, but my Korean has greatly improved in all respects. These courses are unlike any courses I’ve taken before. I especially value the small number of students in a class, which allows the professor to provide ample oral practice and writing feedback to each student. I am able to discuss, complete projects and give presentations on issues I’m interested in and that are relevant to my degree program. For example, Korean ancient history, Free Trade Agreements, the Democratic People’s Republic of Korea’s nuclear programs, etc. The professors are flexible and respectful, while at the same time able to challenge students and push them to improve. I hope to continue my Korean studies and utilize my language skills professionally. 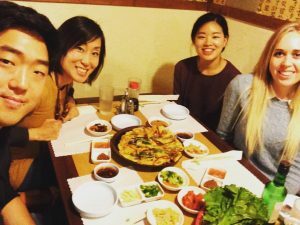 Korean is not only relevant to my future career, but also relevant personally as I’ve seen languages expand visions and foster harmonies. The more I learn languages and the more people I talk to, the more people’s differences seem complementary. English, Chinese and Korean have similar expressions, shared values and virtues; it’s only language that separates them. 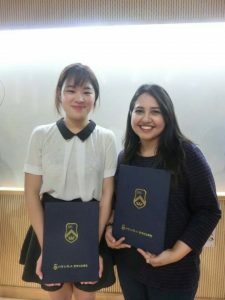 Korean has opened doors for me, and I’m sure other languages will open more for other students.